THIS parish is bounded on the west by the river Lowther, and on all other sides by the parishes of Brougham and Lowther. It comprises about 1662 acres of land, forming a triangular area, and the soil is refreshed by several good springs, some of which are of a petrifying nature. It contains a quarry of freestone and another of magnesian limestone, and its population in 1841 amounted to 288, most of whom are resident in the village of Clifton, and in the small hamlets of High and Low Dykes. The rateable value of the property is about £2700. CLIFTON is a pleasant village in the vale of Lowther, two and a quarter miles S.S.E. of Penrith, near Cat Crag, a remarkable cliff, which was formerly the resort of wild cats. 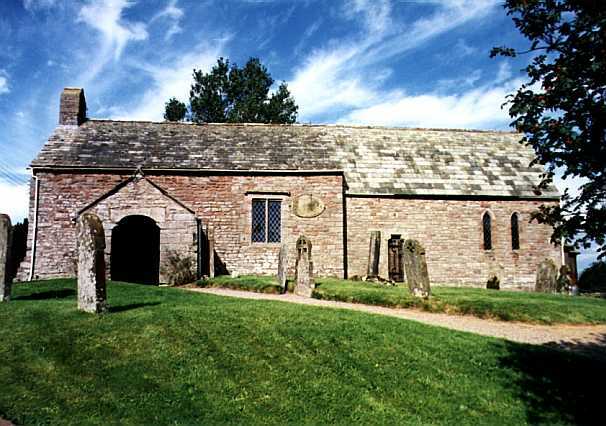 The church, dedicated either to St. Cuthbert or St. Nicholas, is a small antique building, of the style of architecture which prevailed in the 13th century. In one of the three small windows at the east end of the chancel is a very ancient portrait of Eleanor Engayne, who died about the year 1395, and who was a benefactress to the inhabitants of this parish. The benefice is a rectory, valued in the king's books at £8 3s. 4d., in the patronage of the Bishop of Carlisle, and incumbency of the Rev. Joseph Wood, M.A., who was instituted in 1847. Since A.D. 1303, there have been twenty-five rectors instituted into this living. When Clifton Moor was enclosed, in 1812, the landowners commuted for the tithes of the parish, by allotting nine acres of the common land to the rectory, and by a subscription of £5,600, with which an estate of 175 acres was purchased at Bowness, in Cumberland. Clifton Moor is celebrated in the novel of Waverley1, as the scene of a skirmish in 1745, between the troops of William, Duke of Cumberland, and the rebels, in their retreat to Scotland, when about sixteen were killed on both sides, and several wounded. But the accounts given of the number slain are very contradictory. Colonel, afterwards Lieutenant General Honeywood, of Honeygill castle, was taken up for dead, having received several dangerous wounds in his head after his scull-cap was beaten off. For a full and authentic account of this romantic enterprise of Prince Charles Edward Stuart, see a work on the "Occupation of Carlisle, in 1745," recently published by G. G. Mounsey, Esq. The manor of Clifton includes all the parish. It was given in the reign of Henry II, by Sir Hugh Morville, one of Thomas à Becket's assassins, to Gilbert de Engayne, with whose descendants it continued till their heiress, Eleanor, in 1364, carried it in marriage to William de Wyberg, of St. Bees, in Cumberland, to whose descendant the hall and demesne still belong, but the manor being mortgaged to the Lowthers, and never redeemed, is the property of the Earl of Lonsdale. Clifton hall, now used as a sort of out-office, or kitchen, to a farm house, was formerly a fine turreted mansion, supposed to have been built by the Engaynes, who, as well as the Wybergs long resided here. A considerable portion of it has been demolished, a sort of tower, with a turret on one of the corners, being the only part now remaining. The Wyberghs suffered greatly in the civil wars of Charles I, and one of them, Thomas Wybergh, Esq., of St. Bees, was in the list of delinquents, as they were called, whose estates were ordered to be sold by Cromwell's parliament, in 1652. The Rev. Robert Patten, chaplain to General Forster, in the rebellion of 1715, was buried in Clifton church, in 1733. The Rev. Christopher Airey, author of a treatise on Logic, who died in 1670, was a native of this parish. Dr. John Robinson, late rector, who died in 1840, and lies interred in the chancel of this church, was a profound scholar, and an ingenious antiquary. He spent much time in collecting materials for a new history of this county, and was author of some useful works. In 1764, Mary Scott left £40, for the encouragement of a schoolmaster at Clifton, and the interest is now paid by Thomas Scott, Esq., Brent House, Penrith. In 1841, it was augmented with £23, viz., £10 given by the late Earl of Lonsdale, £3 by Lord Brougham, £2 by the Rev. Joseph Wood, the rector, and £6 contributed by the principal inhabitants, making the master's salary now £25 per annum, for which he teaches fifteen free scholars. Mr. Joseph Walker is the present master. 1. By Sir Walter Scott.